Splintercat, you may run into a problem in that the USFS tries to avoid signs in wilderness areas. Certainly no big signs like that one. Minimal signs at trail junctions is about all they allow. Tom leave the graphics up to me ok buddy, you just keep making those maps. Oh, so your 6' 5'' like Crusak then, cool dude!! Nice work on that graphic Tom, the Hatter never looked creepier! A couple more and we'll have a full basketball team! I'll play center, with my bulk. Nice work on this, Tom and Chase. Fair point, Rad... 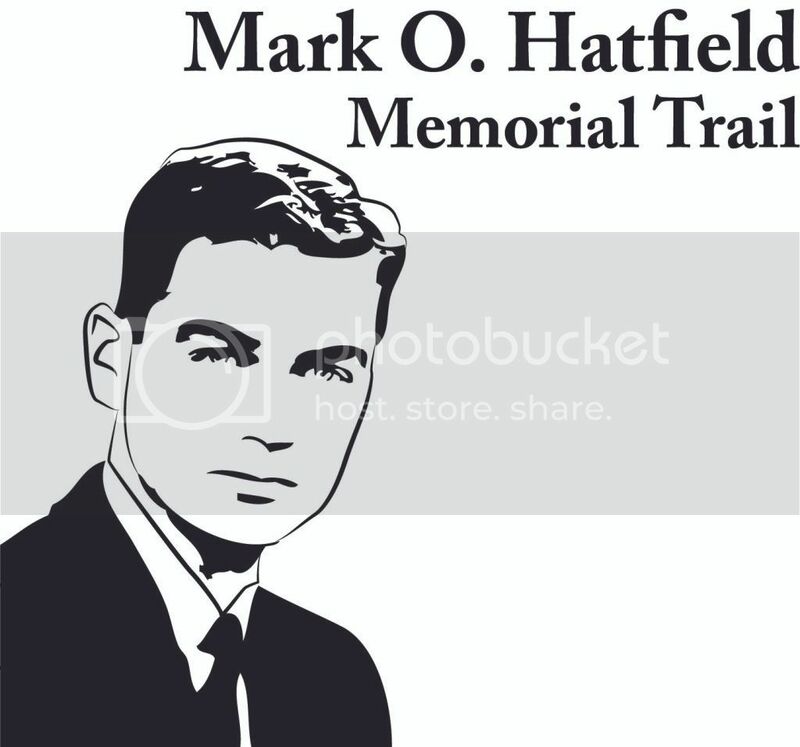 I guess I was thinking about the $$ that Senator Hatfield's likeness might bring to the trail from his vast network of politicos..! Never having been an admirer of the late Senator (although I do appreciate his work on the Gorge Scenic Area), I would really be turned off by a trail labeled with pictures of him! Or any other politician, for that matter. I think he was part of the system that harvested excessive amounts of timber, and then we ran out of harvestable timber so the economy tanked. And almost all the low elevation old growth is gone. And now we're worshipping him for creating the Hatfield Wilderness. But he did lots of good things and over-harvesting of timber can't be blamed on just him.